Getting a new car is a major purchase that will affect how you live for years to come. As a result, it’s important to make the right decision in a vehicle. There are two options when purchasing a new vehicle: buying and leasing. Both are viable options for different financial situations. We at Wolfchase Honda often encounter customers who aren’t sure whether they should be buying or leasing, and want the best bang for their buck. We’ve created this guide to highlight the differences, and present the pros and cons of both buying and leasing. Buying means you buy the vehicle outright. Once it’s paid off, it’s yours until you decide to get rid of it. You’re free to make modifications, don’t have to worry about carpet stains, and can drive however much you want per year. One of the major downsides of buying a vehicle is the resale value. It’s hard to predict how much a vehicle will be worth in five to ten years. Many lenders also require hefty down payments. You may also need to extend the loan in order to make payments that fit within your budget. Leasing is the second option and, putting it simply, that means you contract the car. To lease a car, you sign a contract to make payments on the vehicle for a certain amount of time, usually three years. At the end of the contract, the car returns to the lender and you can either buy it outright or lease (or buy) another vehicle. When leasing, you only make up the difference of the new car value and the predicted resale value at the end of the term. As a result, you drive the car for a few years and don’t have to worry about losing money when reselling. There’s also little to no down payment required. A few of the downsides to leasing comes in the form of the contract. You can only drive a certain amount of miles per year and any stains are on you to get out. Modifying the car in any way usually isn’t allowed either. 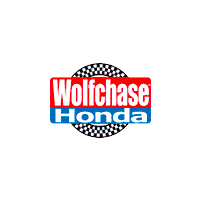 At Wolfchase Honda, we’re eager to help you choose the financing option that’s best for you. If you’re still not sure whether you’re better suited for buying or for leasing, give us a call at (800) 591-6019 and we’ll be glad to work with you to figure it out. You can even start the process and buy a car online with Online Shopper!